Rock’n’Fu facetious of mischievous roulades where crazy barrels whip the scarlet strings. Trio pleasurable but deep, Kamehameha dentata de Deerhoof and Sonic Youth, caramel of contemporary noise on punk ambrosia, gossipy prima donna and supreme monkey shine. Icsis, great red din and no swimming in a nest of vipers. 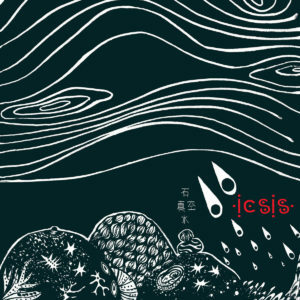 ICSIS was formed in 2006 under the leadership of Guilhem MEIER (Ukandanz, Poil …) and Jessica MARTIN MARESCO (MeiTei Sho, Spang, Op.Cit …). The group is initially a sextet, with Alice PERRET (Lunatic Toys), Guillaume PERRET (Electric Epic), Ben Richou (Djazia Satour), Brice Berrerd and plays a kind of experimental contemporary jazz. 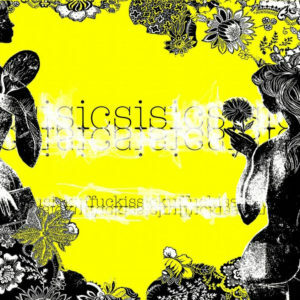 Around 2009, ICSIS becomes a trio where the singer plays the keyboard and/or the bass, the drummer manipulates electro, and a guitarist. The music takes a rock turn, with elaborate writing and A wild energy. They record their first album «Fuckiss» (Dur et Doux) in March 2013. In June 2016, they released «Pierre Vide Eau» concept album on the animals of kung fu, sung in Chinese and English. The instrumentarium of the group is purified, with a guitar, drums, electro and 3 voices. They also make a clip on «hu» (tiger). ICSIS tours regularly in Europe.